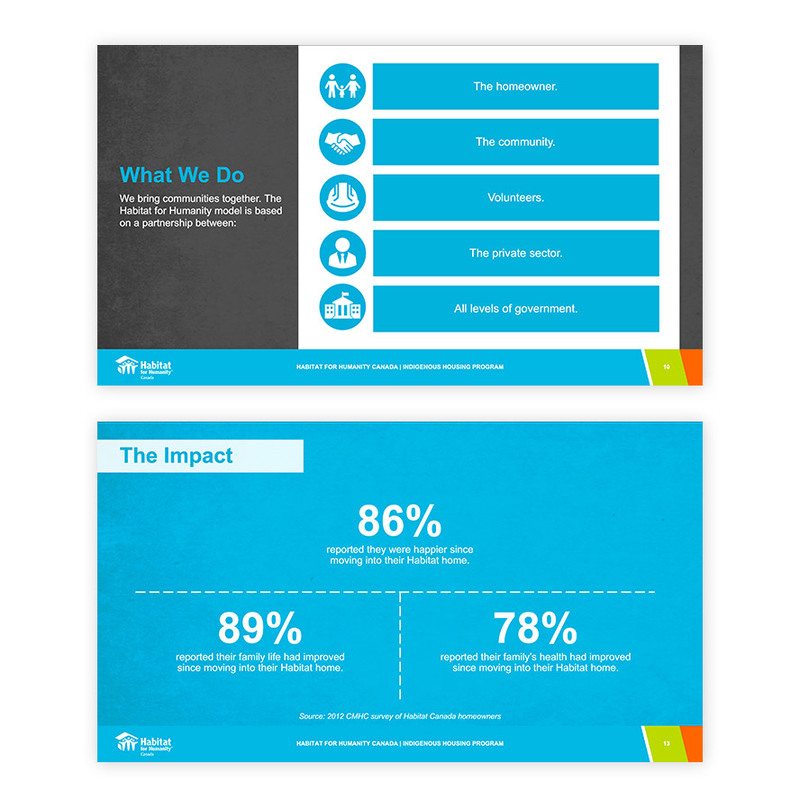 Habitat for Humanity, is an international, non-governmental, and nonprofit organization. 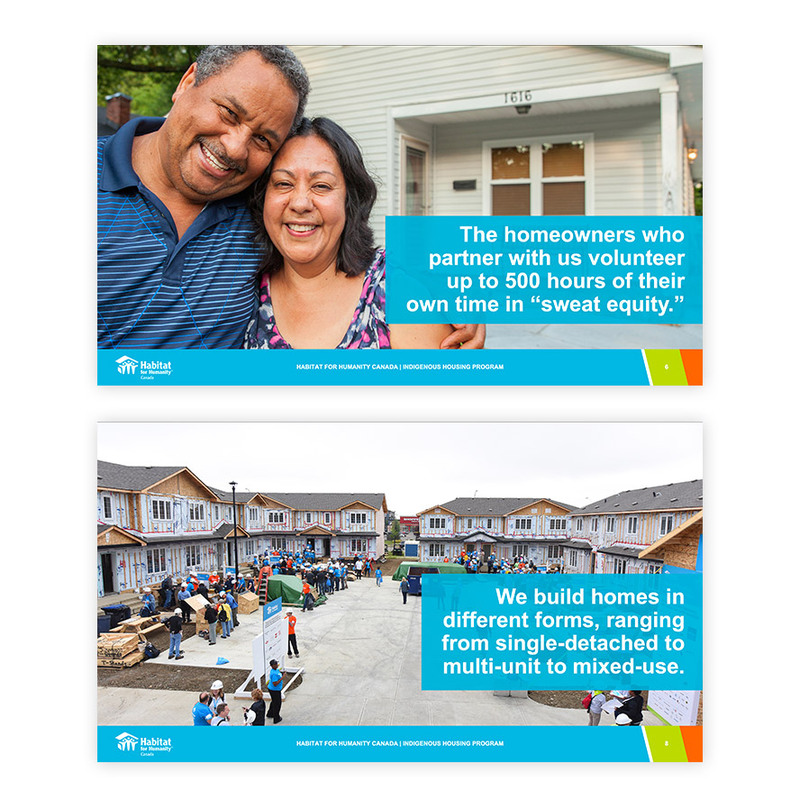 Habitat has been devoted to building "simple, decent, and affordable" housing and has addressed the issues of poverty housing all over the world. 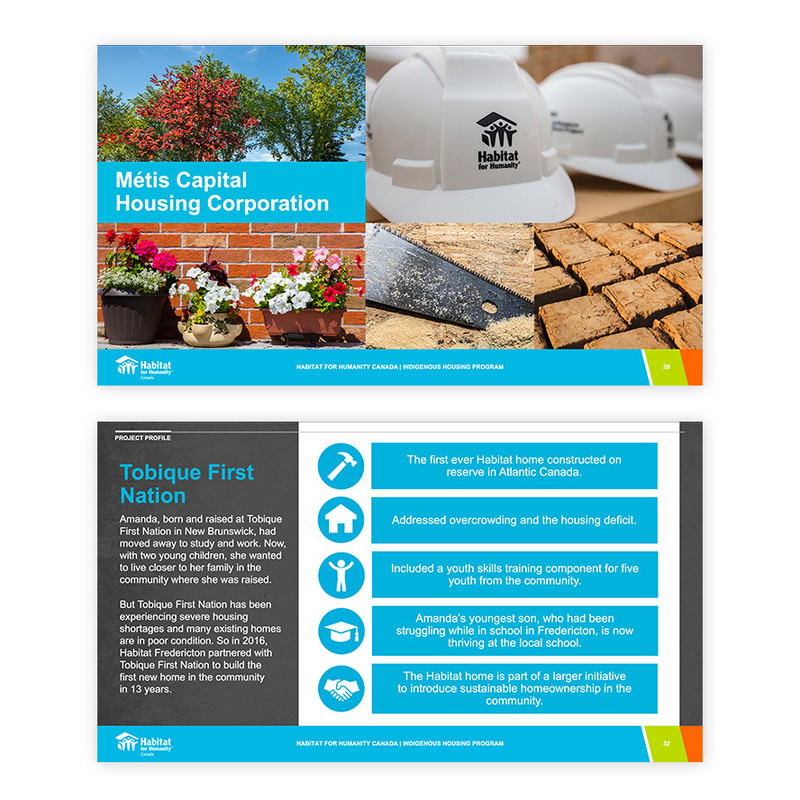 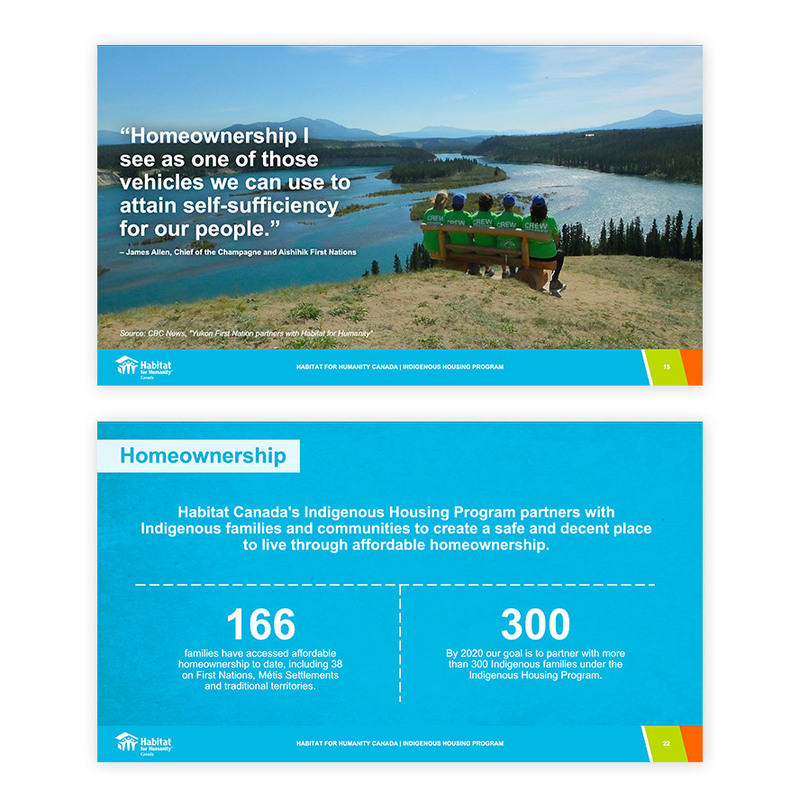 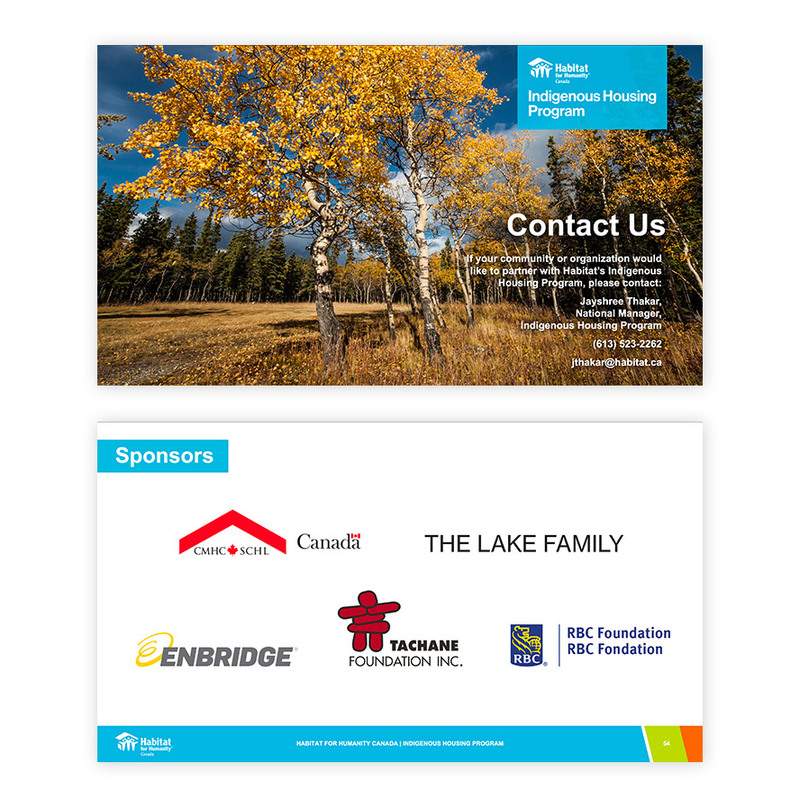 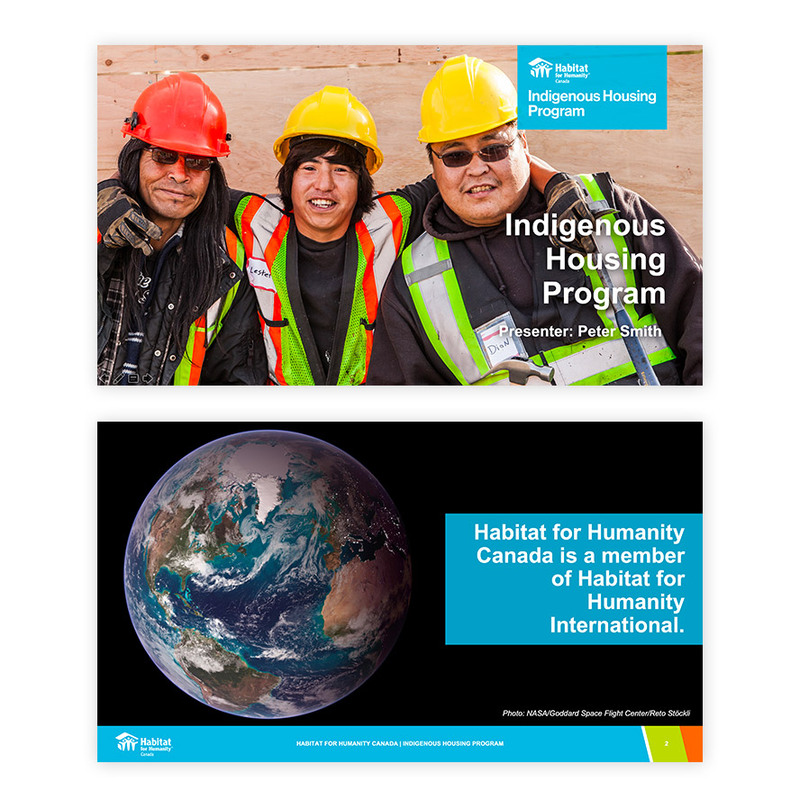 Nerd House Design was contacted by Ripple Creative Strategy to create concepts and design for the 2018 Habitat for Humanity's 'Indigenous Housing Program' Powerpoint Deck.